The use of compression wear is spreading among athletes and ordinary people, from use in various sports to use in daily life. We offer a variety of compression wear such as tops and long tights, but in this post, we'd like to highlight calf sleeves. What exactly are the benefits of these sleeves that many runners use regularly? 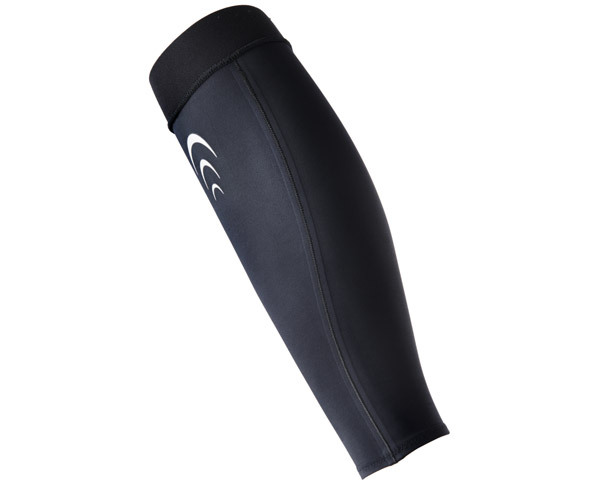 Calf sleeves are compression gear that covers the calves from below the knee down to the ankle. They apply a set amount of compression and control muscle vibrations to enhance performance. There are products that provide taping support and those that provide graduated compression such as our C3fit products. Our C3fit products facilitate circulation and are classified as General Medical Devices in Japan. Calves are our "Secondary Heart"
A body's best condition is maintained with a smooth flow of blood. Through the circulation of blood throughout the body, oxygen and nutrients reach all of the body's cells. Your calves play a key role in maintaining smooth blood flow in your body. The calves are located far away from the heart and they work hard at returning venous blood from the legs back to the heart. Calf muscles act as pumps that firmly contract and powerfully circulate blood. Based on these facts, calves are called the "secondary heart." As you may know, quadrupeds such as dogs and cats do not have bulging calf muscles. Only humans who walk and can withstand gravity on two legs have these large calves. This also means that they are more prone to strain and fatigue. It isn't rare for an athlete to experience calf spasms or torn calves during intense exercise such as marathon running. Even without intense exercise, calf muscles already routinely and continually pump blood. Thus, we should provide extra care for our calves during exercise when our calves are working harder. Now that we have explored the important role that our calves play let's discover the benefits of using C3fit Inspiration Calf Sleeves for runners. Inspiration Calf Sleeves apply an optimal amount of compression on calves that facilitate better flow of blood in the lower extremities, which all lead to better fitness capability. Improved muscle recovery also occurs when calf sleeves are used. When muscles can't keep up with the speed and distance being ran, they cramp. Contact with the ground also strains the calves, and at worst, may also tear muscles. This is where calf sleeves play an important role. 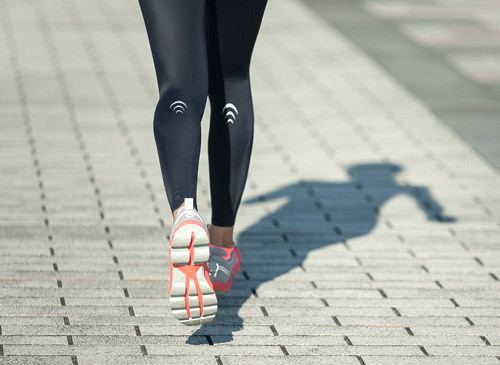 They suppress vibrations in the calf muscles which minimize energy loss and help to prevents fatigue. While long tights also facilitate blood flow in the calves, calf sleeves can be more comfortable and versatile. Calf sleeves only cover the calves and they are easier to fit on. During hot summer days, many people find even tights that are supposed to feel cool a little hot. No one should have to deal with discomfort when it comes to compression. With C3fit Inspiration Calf Sleeves' soft and comfortable fit, you almost forget that they're even there. A special kind of tape is used on the inner seams for a flat finish that reduces rubbing with the skin. The outcome? A pleasant, comfortable fit, even after long hours of use. Our Inspiration Calf Sleeves are great for recovery after running. Their effect of facilitating blood flow continues even after exercise, making them an ideal part of your recovery regimen. Our calf sleeves are also helpful to people who have to stand or sit for long hours, such as an international flight. By facilitating blood flow to the calves, the body's "secondary heart," our Inspiration Calf Sleeves assist in relieving muscle fatigue from running, aid in increased performance, and alleviate swelling from daily activities. Start positively changing your running life by owning a pair of C3fit Inspiration Sleeves.